Unsure about which coloured pencils to buy? Confused about which paper or support will best suit your individual needs? Which surfaces are the easiest to erase and which ones work best with solvents? What tools are available to help you in your coloured pencil artworks? 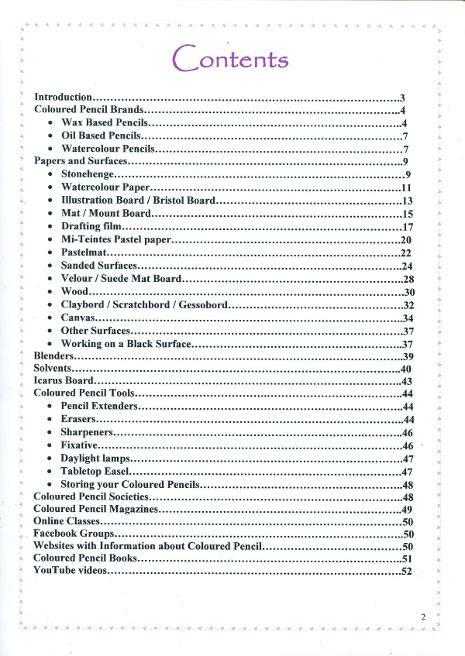 What books, websites, videos, societies and other publications are available for you to learn more about coloured pencils? 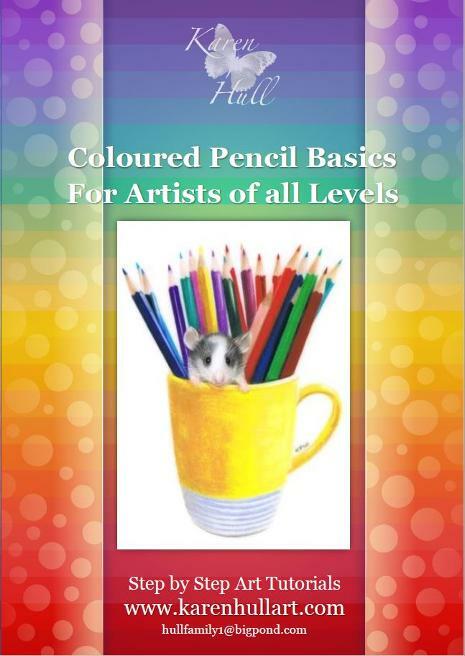 This 52 page information kit will answer all those questions and more and is invaluable for anyone new to the medium of coloured pencils or who would like to explore different supports and techniques in their coloured pencil artworks. As this information kit is a PDF, it can easily be updated with new products as they come to light and if you have something you would like answered or addressed within this kit then please don't hesitate to contact me. As a thank you to anyone who buys this coloured pencil information kit, you will find a special code in the introduction that entitles you to a one off 10% discount on your next purchase from this site.